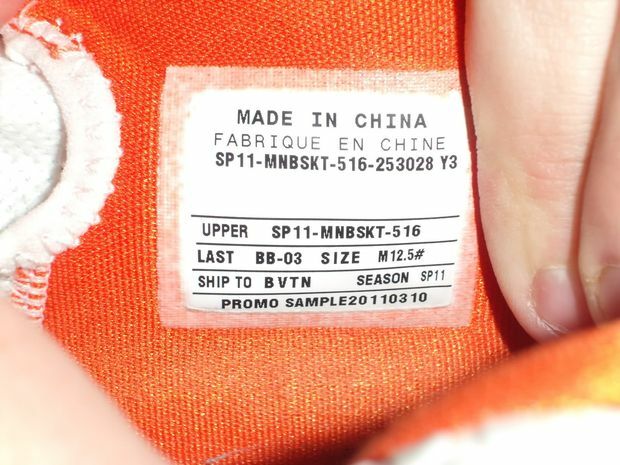 If you ever get a chance to head out to an outlet one day, you can expect the unexpected by sometimes coming across promo samples that end up in the “Last Size” row. 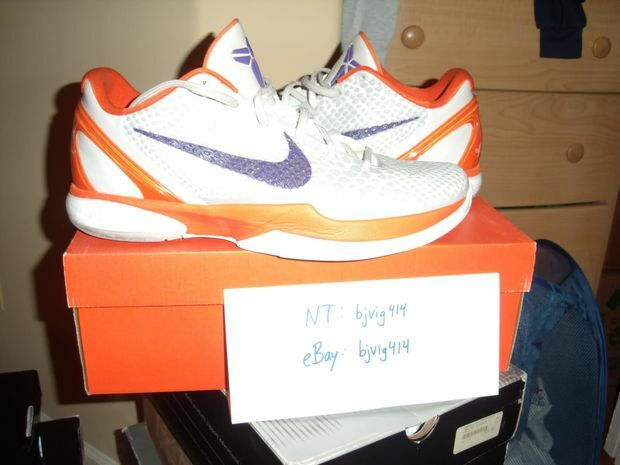 BJVIG414 came across a promo sample that features the “Suns” colorway of White – Purple and Orange. 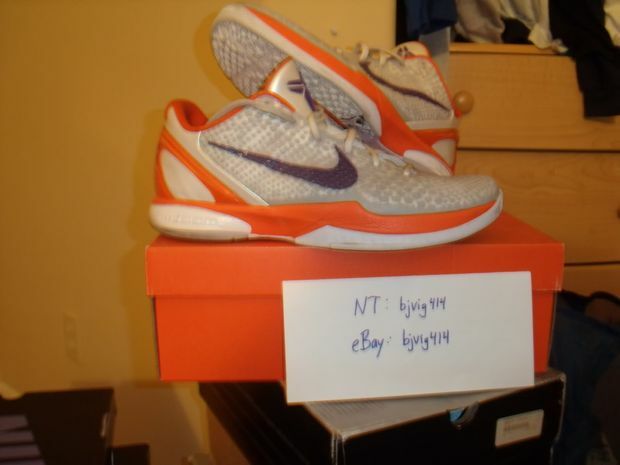 At first sight, you may think these are iD’s but thanks to the tag, these have been confirmed to be Samples from Spring 2011. 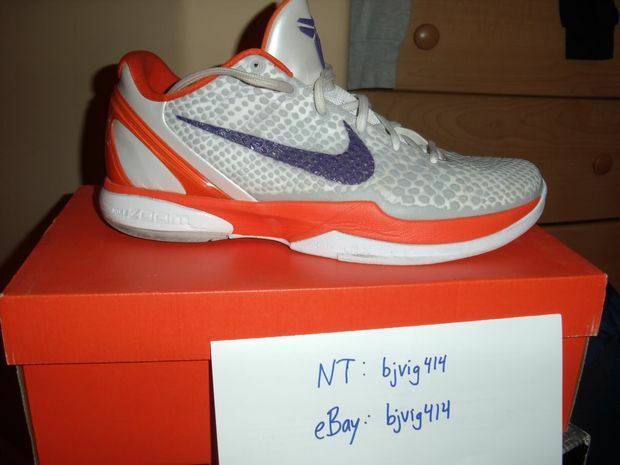 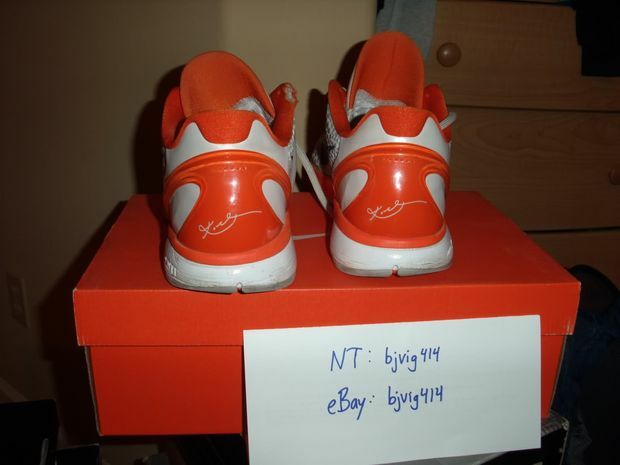 Check out the Nike Zoom Kobe VI Grey / Orange – Purple Promo Sample after the jump!